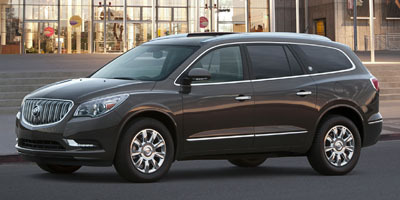 Is the Buick Enclave a luxury SUV or not? That's what needs to be defined. And the truth is, it's hard to say. It has qualities of both a luxury vehicle, but also qualities of a family hauler too. Even within the General Motors lineup it won't be pigeonholed. It rivals another hard-to-define SUV, the GMC Acadia, which can also have luxurious traits. As a full-size SUV, the Enclave has a lot of competition, so it's probably good that it's not type cast and stands out with that hard-to-define label. For this model year, little has changed. A few minor exterior differences, some new WIFI technology and a new trim is about all you will notice different from the previous year. The best thing any vehicle can be is distinctive, and the Enclave certainly is that. Rather than the mass-produced Chevy Traverse, and the bland-looking GMC Acadia, the Enclave has styling that gives it personality. Upon first glance, you're convinced the Enclave is a luxury SUV. It has bold and brash styling cues, starting with the elegant waterfall-like grille. New LED lights flank this grille. It is one of my favorite front ends of any SUV on the road today. Not overly stylized or too aggressive looking, it's classy and timeless. The side profile of the Enclave is a little disappointing as it becomes more bland, and lacks the pizzazz of the front end. Unfortunately, the back end is equally dull and uninspiring, where this looks more like the gelatinous Traverse than a luxury SUV. Hopefully future models will get more styling to mirror the front end. 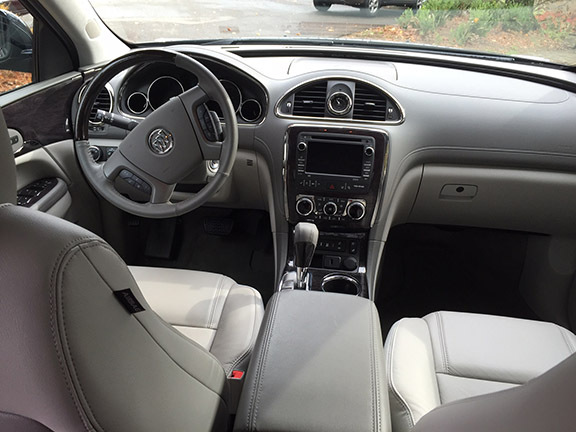 Buicks are best known for having some of the best interiors, and certainly some of the quietest vehicles on the road. That's certainly the case with the Enclave. The whisper-quiet cabin shields all road and engine noise, allowing for a calm and relaxing ride. This is further aided by soft, comfortable seats. The Enclave has room for seven passengers, with the second row passengers finding ample legroom and shoulder room, thanks to cabin-style seating. These seats slide fore and aft to accommodate for varying legroom needs. The third row bench-style seating should be reserved for kids and smaller passengers. Accessing the third row is easy. Buick uses a smart-slide feature to help modify legroom and cargo room, making the Enclave incredibly versatile. 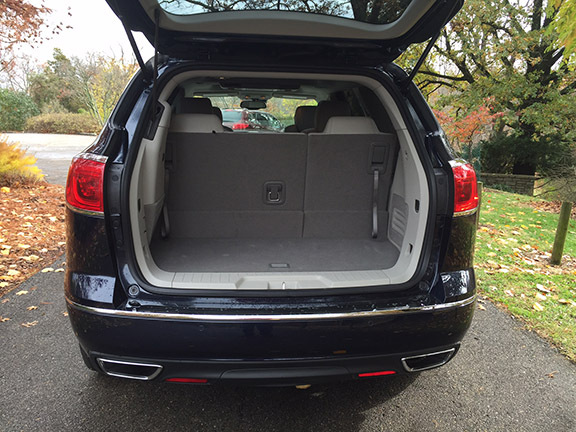 With the third row seats upright there is 23.3 cubic feet of cargo space. However, with all the seats folded down, there is a maximum cargo space of 115.2 cubic feet. That is above average for this segment. The interior of the Buick is what makes you believe it's trying to be a luxury vehicle. With the soft, luxurious materials used, it rivals European and Japanese luxury vehicles. 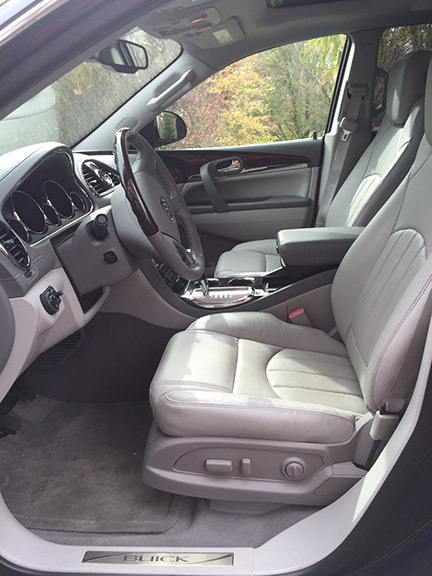 The high-quality interior is as good as any other GM vehicle, including Cadillac. GM continues to add 4G LTE technology to their entire product line. This is a direct response to surveys from customers (especially those with kids) that say they want as much connectivity within vehicles as possible. With the Enclave aiming to be a family hauler, one that is great for longer trips, having 4G LTE WIFI is a great new feature. The Enclave has a 6.5-inch touchscreen that is adequate, but uninspiring. The remaining technology found in the Enclave is nothing extraordinary or new. Buick is a brand that wants to aim itself toward a younger demographic, they should therefore get ahead of the times with technology. Check out the things Audi or BMW or even Cadillac are doing and follow their lead. The GM IntelLink system is intuitive and easy to use, but doesn't have a wow factor. For a big vehicle like this, and one with a big price tag, I'd expect to be more impressed with the technology offered. The Enclave is available in both front-wheel drive and all-wheel drive options. The FWD version has slightly better fuel economy, although the AWD Enclave is the one I recommend. FWD Enclaves have an EPA rating of 17 mpg/city and 24 mpg/hwy. In a week's worth of driving in my AWD Enclave, I averaged 18.6 mpg. The AWD version has an EPA rating of 16 mpg/city and 22 mpg/hwy. Those are lower numbers, but for a full-size SUV and one of this girth, it's actually right on par with other similarly-sized SUVs. The Enclave historically gets passing marks on reliability. JD Power rates them a 3.5 out of 5 for overall initial quality. According to their latest testing, the Enclave gets the best score in features and accessories (5 out of 5) and its worst score in body and interior quality (2.5 out of 5). Their overall powertrain reliability rating is 4 out of 5. The Enclave gets high marks in safety from IIHS. They receive across-the-board Good (best rating available) ratings from them. In crash test results the Enclave also does exceptionally well. NHTSA gives the Enclave a five-star overall rating (out of five). In fact, in all NHTSA tests, Enclave scored perfect in all categories. The powertrain is the same for this model year as in the previous model year. 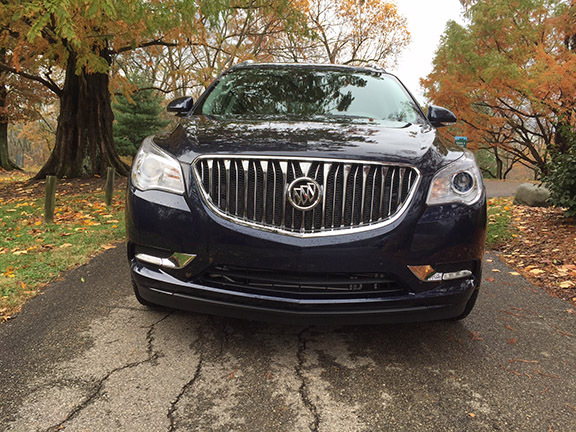 A 3.6-liter V6 engine powers the Enclave, making 288 horsepower. The power is adequate, but nothing more. This matches the overall theme of the entire powerplant of the Enclave. It serves its purpose, but has little to no excitement. The six-speed automatic transmission feels dated although it serves the vehicle well. The Enclave, while smooth and refined, drives big; its 118.9" wheelbase indicates that. The turning radius is lousy, and the size makes it tough in parking garages. The overall drive performance is lackluster. There are three trims for the seven-passenger Enclave - Convenience, Leather and Premium. 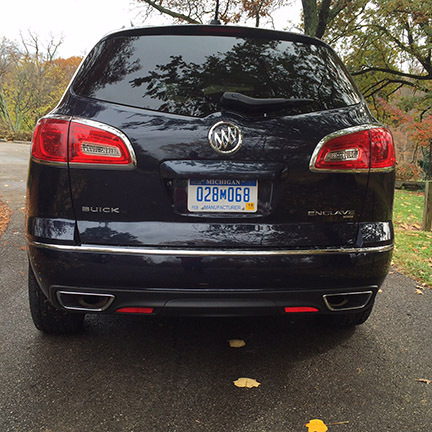 I drove the top-of-the-line Premium Enclave with a base price of $49,515. My tester had several options including moon roof and rear entertainment system (a must have for families) and the final MSRP was $53,630. That's a hefty price for a vehicle that is not necessarily considered a luxury vehicle. As refined of a vehicle as the Enclave is, it needs updates and improvements, specifically in the power plant, and more exterior styling. But it also needs a marketing push to define it better. If it's a luxury SUV, then make it so, and market it as such. 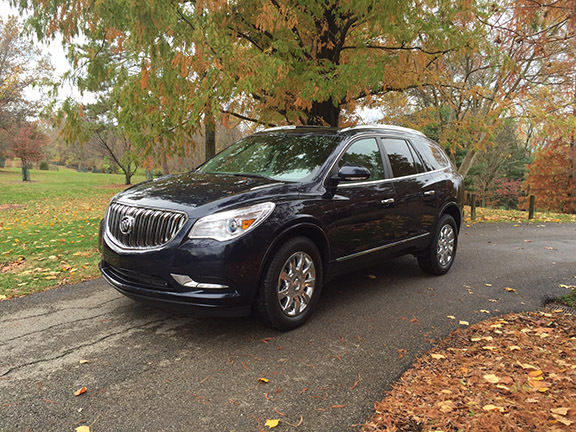 Interested to see how the 2016 Buick Enclave ranks against similar cars in terms of key attributes? Here are the 2016 Buick Enclave rankings for MPG, horsepower, torque, leg room, head room, shoulder room, hip room and so forth.